They can grow up to 8-11 cm / 3-5 inches. They are best kept in water parameters of Ph range 6.0 – 7.5, and temperatures of 24-29 °C / 75-85 °F. The Kuhli loach are bottom dwelling fish. They will berry themselves in gravel and basically hide any where they can get in to. They are an eel like fish but do not get eel size, and they mix well with small fish. They are a none aggressive fish and they can either be in small groups, big groups or they are fine on there own. They are a lively little bottom feeding fish so they do need sinking food. But they make a lovely additions to small community tanks. 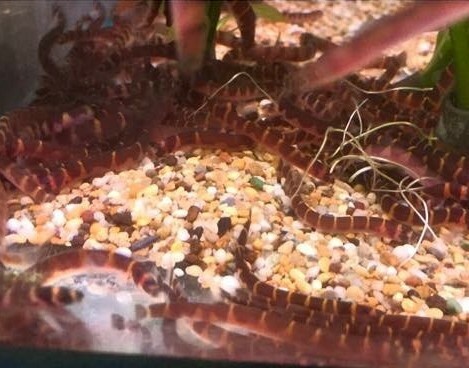 Good food for khuli loach is sinking food as they are bottom feeding fish. They will take Flake, small pellets, mini granular foods, also a treat of freeze dried, frozen and live foods. 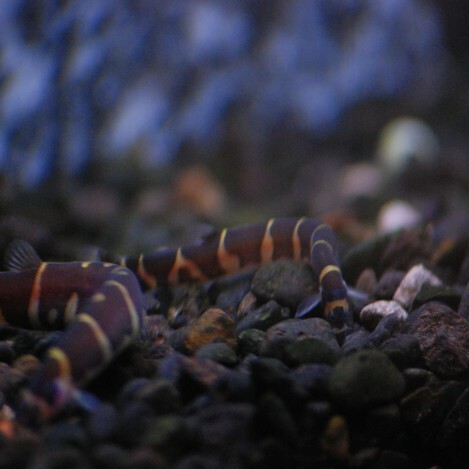 With Khuli loach we only recommend feeding once a day at the most.